Paradise found has easily become one of me and my girlfriend’s favorite dispensaries. We came in on 4/20 looking for some good deals and we found them! Our cashier, Tasha, was amazing. She was so friendly and helpful and didn’t give off the fake customer service vibe. My girlfriend is always anxious in new places but Tasha made us both feel very comfortable. She let us take our time deciding while still being very attentive and answering any questions we had as well as offering her opinion on her favorite products! Best customer service I’ve had from anyone working at a dispensary. Definitely manager worthy! Tasha was definitely the deciding factor in us returning! See you soon Paradise Found! The best variety in flower and eatables. The bartenders are the best they will help you in every way to help you find just what you are looking for. Prices are one of the best in town. Cant move to well no worries the bartenders are more then willing to lend you a hand. I love Paradise Found is my go to place. Snowsmorgan thank you for the awesome review. ❤ We are always very willing to help out in anyway that we can. 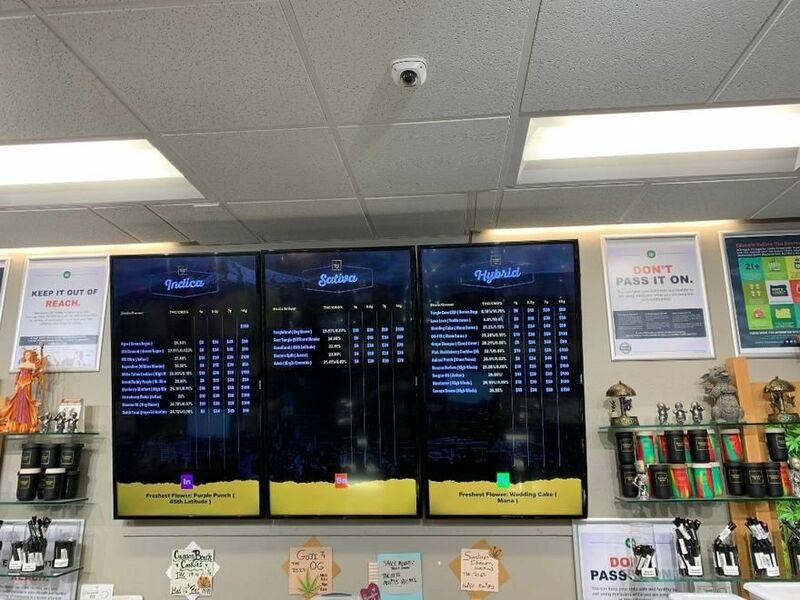 Please let us know next time you are in for a visit and we can give you a 10% off leafly review discount on your purchase. Amazing, knowledgeable and friendly staff and a wide selection of products. This place is clean and professional. I highly recommend them for people new to Cannabis products or long time smokers! Staff is energetic and helpful! Highly recommend Paradise found for any Cannabis needs. Shout to Hildur, Heather and Alex on the morning crew for always being friendly and happy to help! You guys rock! Thank You very much delusionaldez for the wonderful review! We try very hard to be helpful to all and offer a clean environment for our customers. You all are family to us! Please let us know next time you are in house and we can give you a 10% off leafly review discount. Today was my first visit to Paradise Found. The staff were friendly, upbeat, and professional, and the space is clean and spiffy. The $3 gram was Dominion Skunk, so I picked up an ounce! No seeds (though I'm in the minority and love getting seeds because I grow) and it tested at 27.1% THC. Let's just say I'm enjoying my afternoon immensely :) Thanks Guys! I'll be back! Were happy to hear you had a good experience in our store! We can't wait to see you next time! 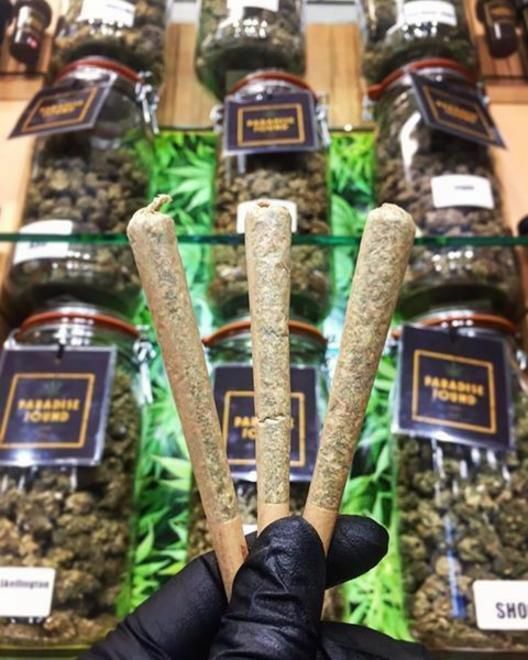 When you come in next, remember to ask your budtender for 10% OFF for your review!!! Taylor has helped me in the past he has good opinions on product. Good choice of dabs and I’ll be back for more carts soon!! Happy to hear we were able to give you a great experience. We welcome you back at any time to Paradise Found! The staff is always friendly and informative. They'll actually take their time to make sure you get what you're looking for. Thank you so much LunchBoxCannabis for the wonderful review. It is very important to us that you find just what you are looking for no matter how busy we are. Let us know when you are in next and we can give you a 10% leafly review discount off your entire purchase. First time and had no clue what I was doing...Wyatt gave me some excellent suggestions and made the whole experience very comfortable. Clean and professional atmosphere, will definitely be coming back! Hey thank you I really appreciate it! We'll be happy to help you out any other time you decide to come in. Take care. My local spot love it! Great experience and friendly,helpful people. Thank you Nico Your great. We pride ourselves in our friendliness! We think he's great as well! We'd love to see you in again and give you 10% off your next purchase! Also to add on this is Nico saying thank you for the shout out. Come in and say hi.